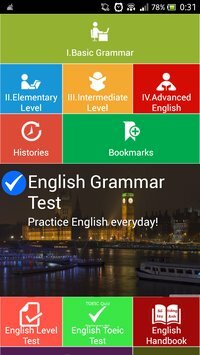 Hi, guys, are you wondering how good you are at English Grammar or are you thinking to take English Grammar test such as in TOEFL and IELTS? 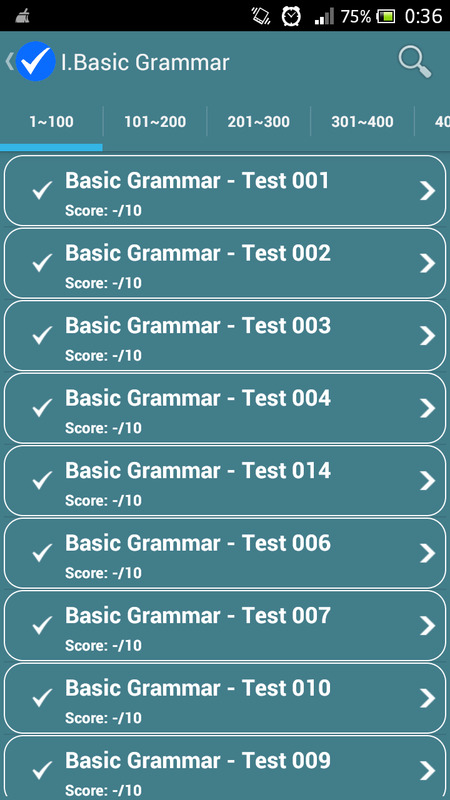 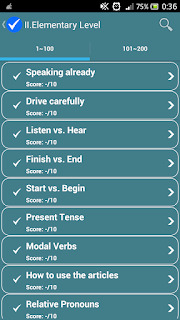 Now I am going to give you an android apps in which you can practice your English everyday and in this app there are more than 1500 grammar points you can practice. 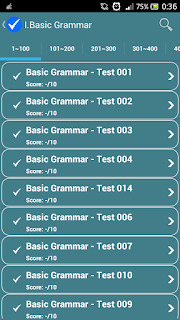 If you know all of them, of course you will be the master of English Grammar. 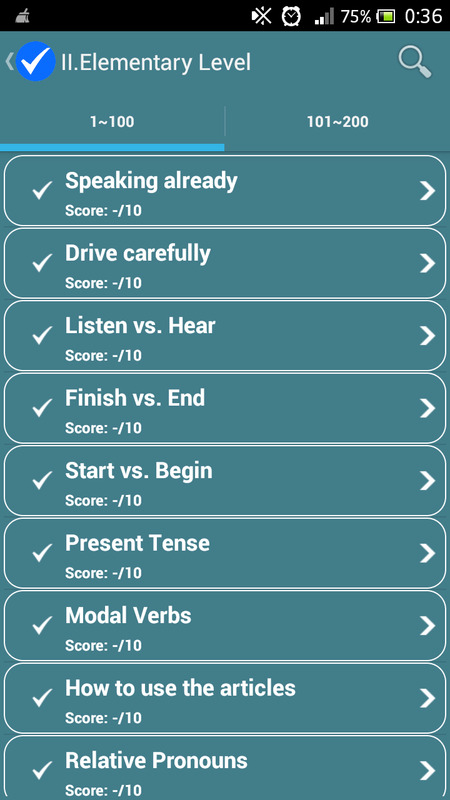 So take this app and practice wherever you go.